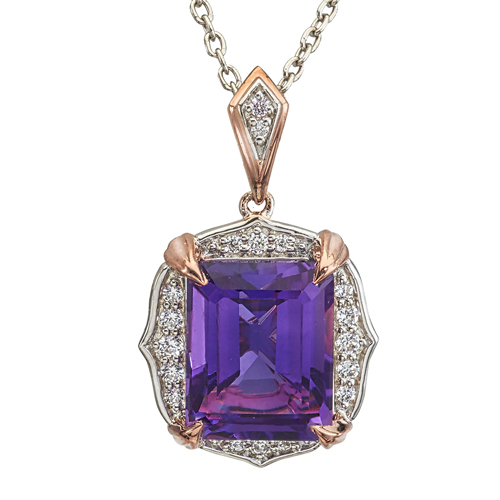 14K T/T diamond and amethyst pendant. 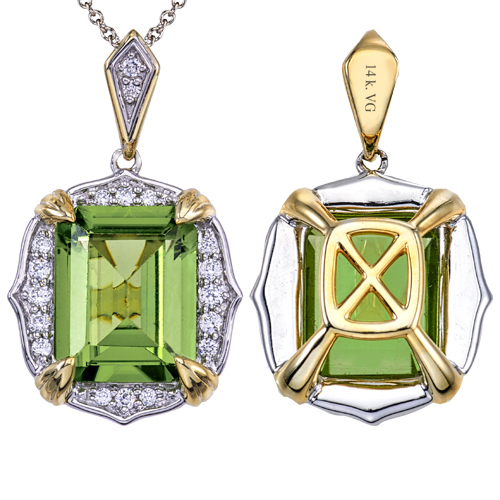 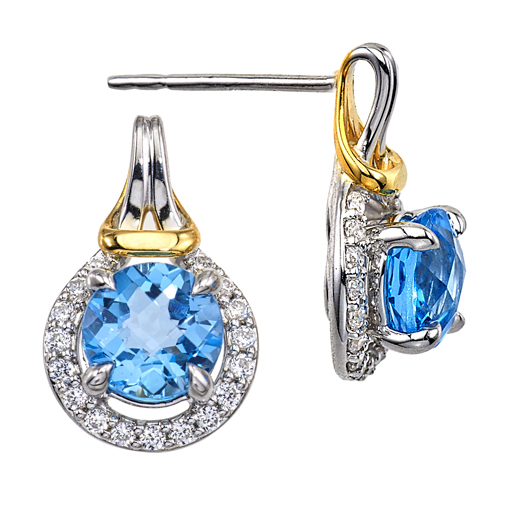 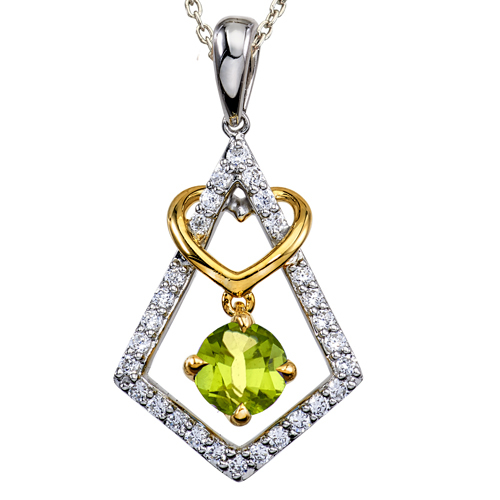 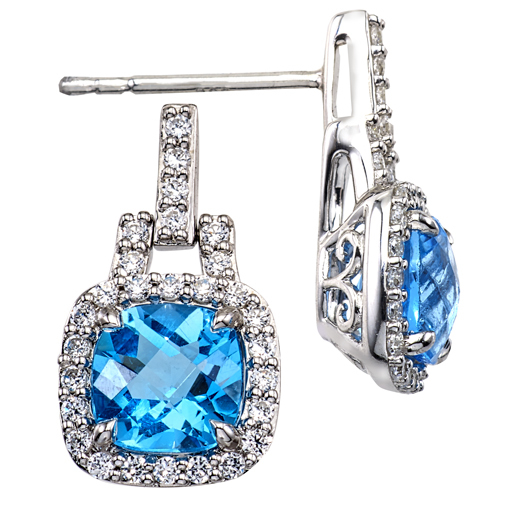 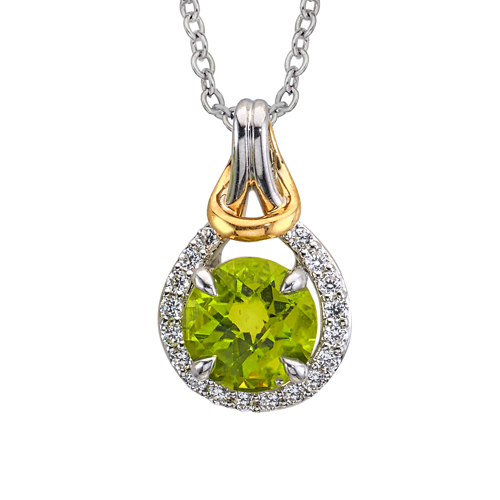 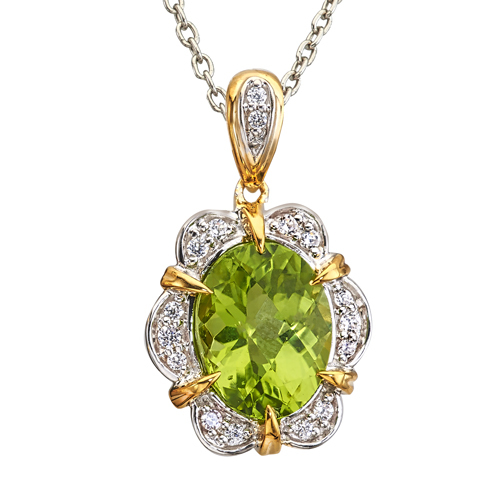 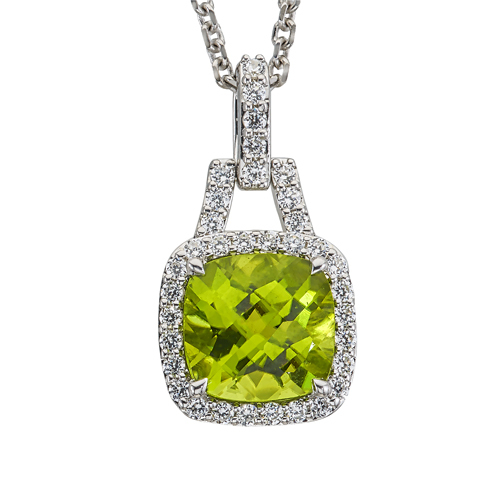 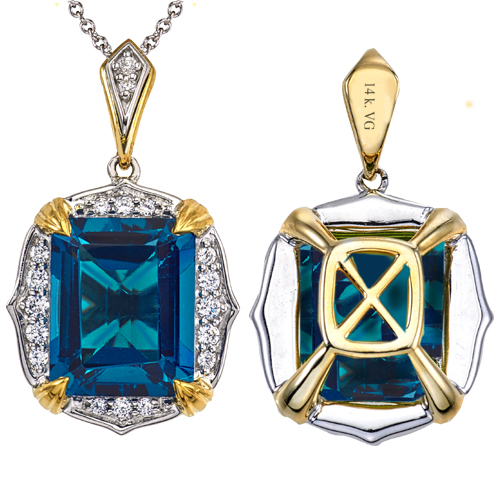 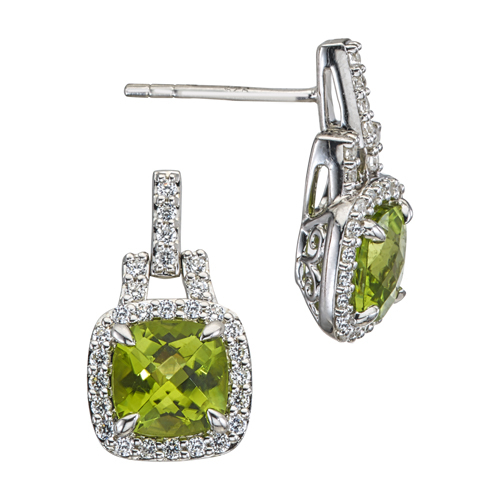 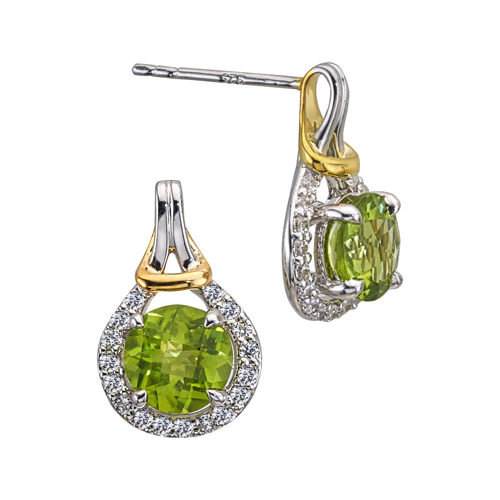 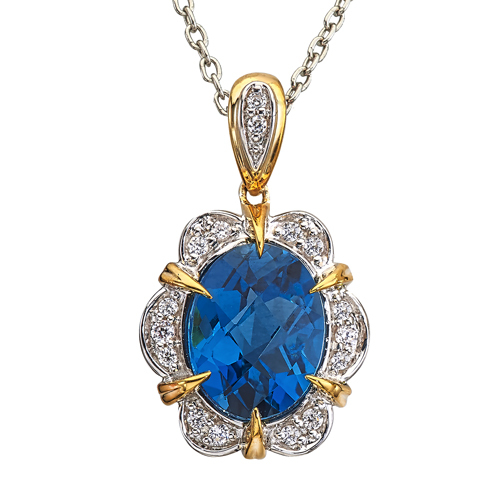 14K T/T diamond and peridot fashion pendant. 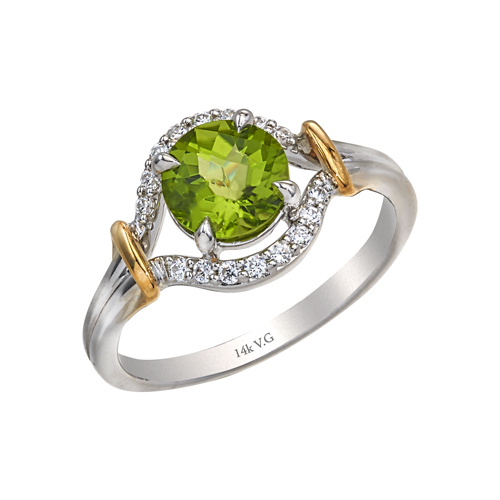 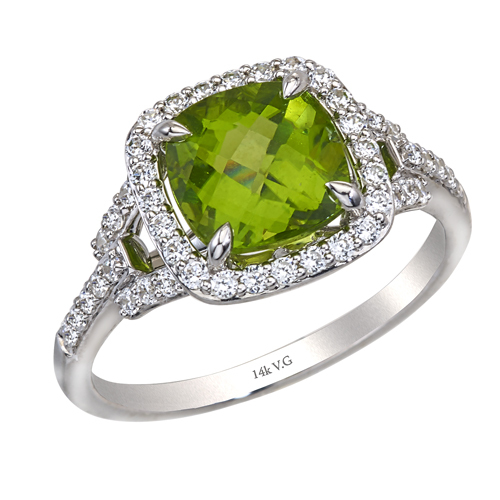 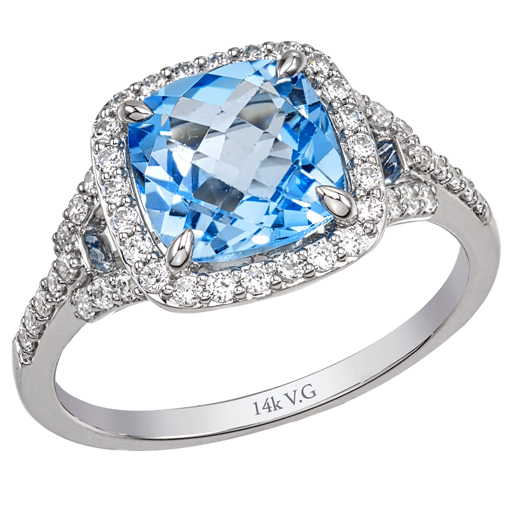 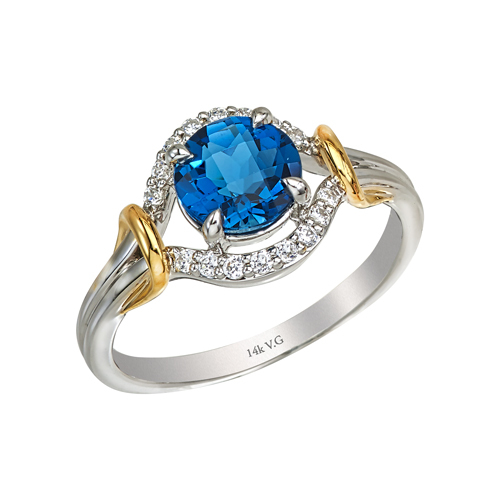 14K T/T diamond and peridot fashion ring. 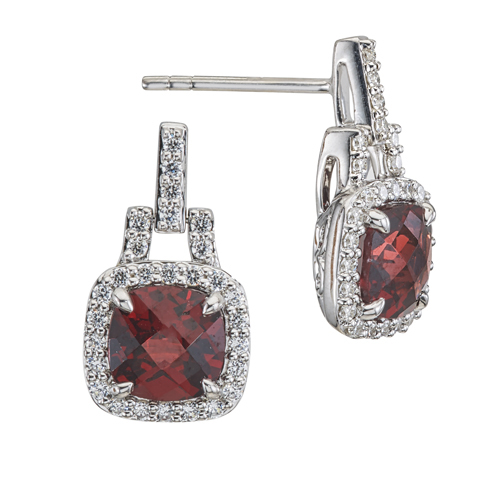 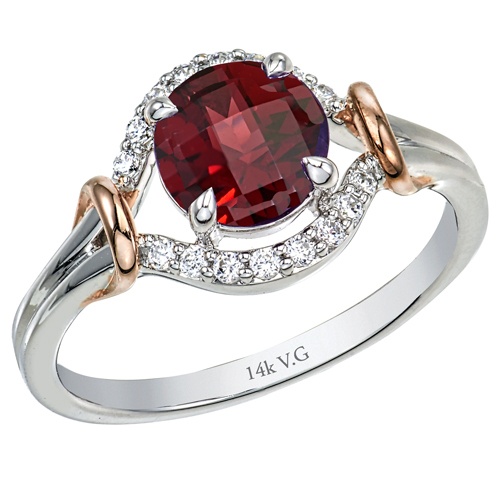 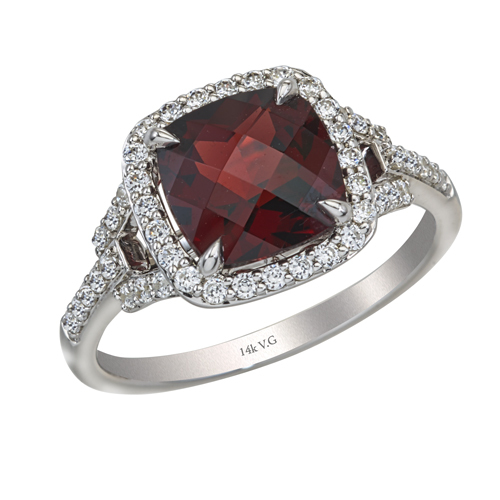 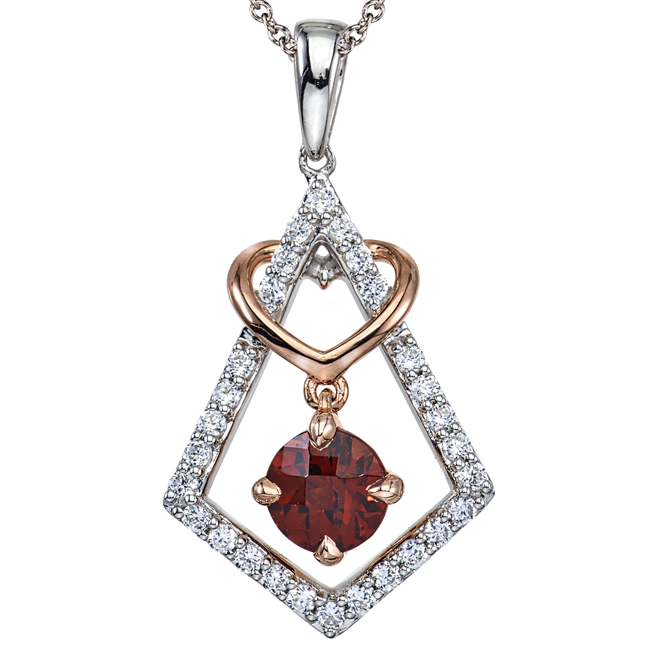 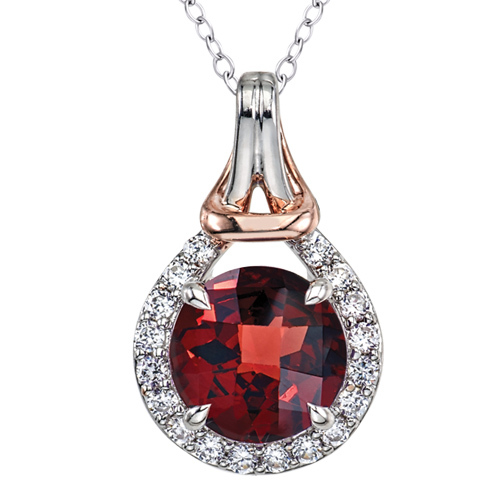 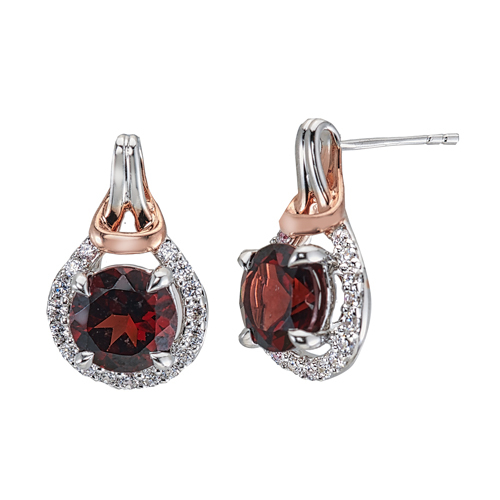 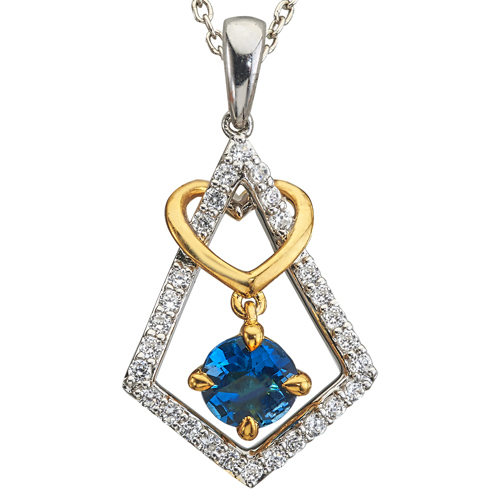 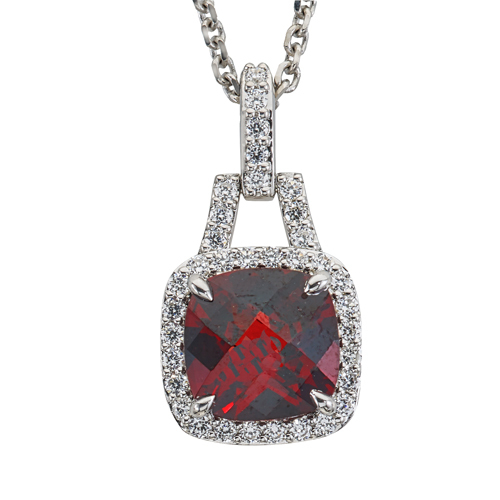 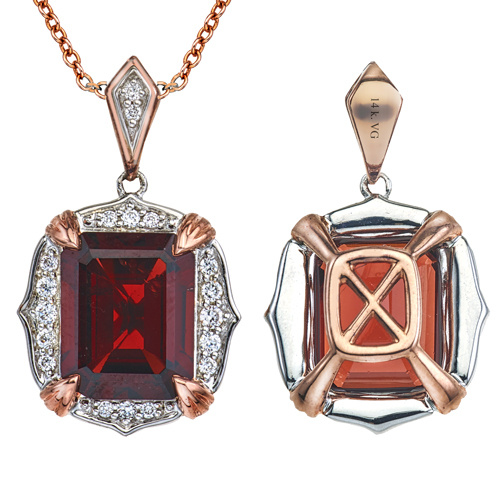 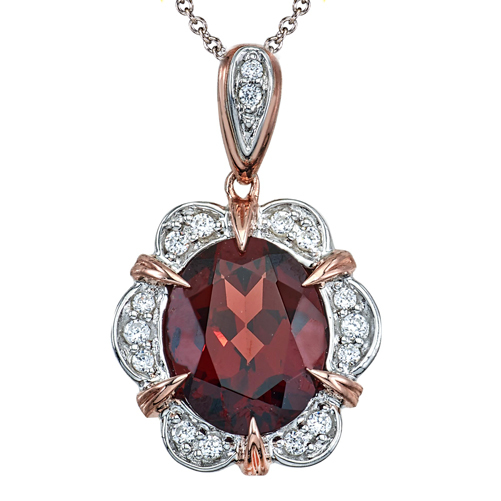 14K T/T diamond and garnet fashion pendant. 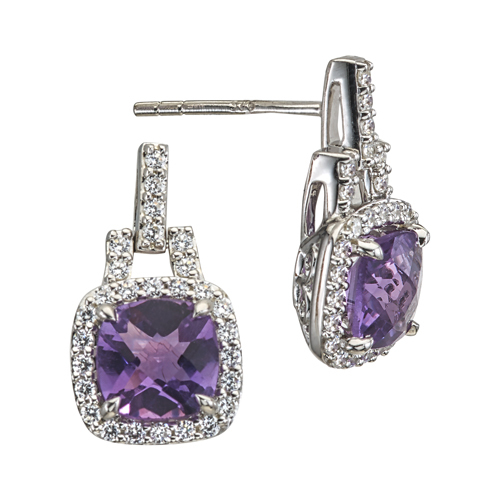 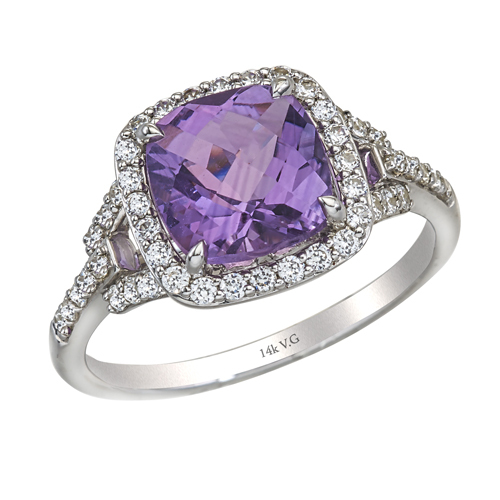 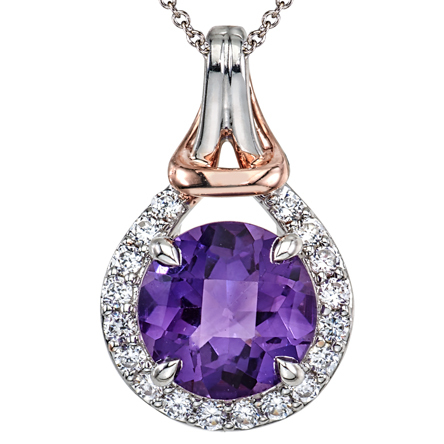 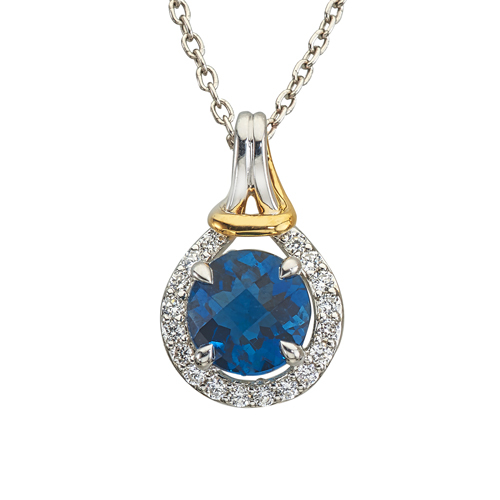 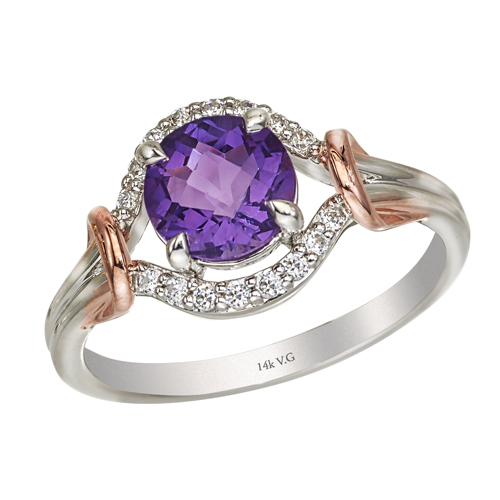 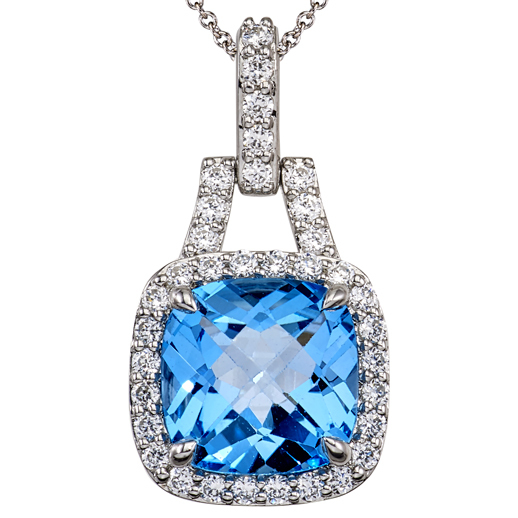 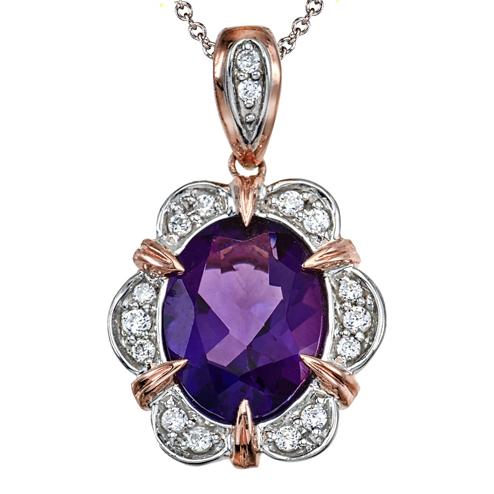 14K white gold diamond and amethyst fashion pendant.